Starting last week I have been posting a video of the day (VOD) that my class watches at the end of morning meeting in a new blog, Kate's Class Video of the Day. The blog does embed YouTube videos, among others, so it may not work in your setting. It will feature seasonal/holiday videos as appropriate, rounded out with "Music Every One Should Know" and music that can be tied to either my class's curriculum or to current events or news in our room. Feel free to suggest video ideas. Thus far ONTD_AL has lead to 9 donations to our classroom project, which is enough for me to make Adam Lambert and his fans my idols. We celebrated Adam by making him our video of the day (VOD) star on the say we discovered we were on the ONTD_AL short list. How cool is that? The folks who bring us News-2-You and Unique Learning Systems are now offering their symbols subscription style online for $99 (the price will rise to $129 eventually). SymbolStix are the Symbols used in the News-2-You papers, Unique Learning System, the Proloquo2Go iPhone/iPod Touch AAC App, the Tobii AAC products (the C Series), AMDi Overlay Designer Pro, Jabbla AAC devices, PCI Printed Books and also is among the symbols offered on Pogo Boards. More and more our students are becoming familiar with SymbolStix. SymbolStix Online will allow subscribers to use a simple search to find and then download symbols in any of their choice of a variety of formats for import into other communication or board designing programs (Boardmaker, PhotoSYMS) or a regular office program. The SymbolStix collection has 12,000 symbols and grows as News-2-You papers and Unique Learning System Units are produced. Currently SymbolStix are in six languages. If there isn't a symbol you need it can be requested online. As a user of Unique Learning System, News-2-You and Proloquo2Go I am excited to get to stop taking screenshots of SymbolStix on PDFs and then cut them and paste them into Boardmaker to enlarge them for my students with low vision. This should substantially lower my work load. I do wish there was a week long free trial to allow us to try before we buy, especially since we can get SymbolStix at PogoBoards if we wish. About a week ago I posted about the Lite Brite FX Spin Art machine I picked up at a thrift store for around $5.00. I thought folks might like some pictures of it in action making some Halloween themed spin art. 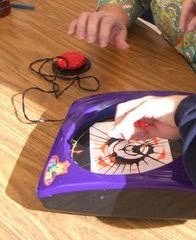 From left: a student using a head switch (not seen) watches as her choice of green paint is applied, student uses the regular spin art machine button to make the art spin (in a technique I like to call "armpit switch" since it is easier to "armpit switch" than it is to take out the battery interrupter), a staff explains to a student through how to apply the paint before trading jobs and having the staff hit the switch while the student drips the paint. A great time was had by all. Game Salad and Purpose Games are both sites that allow people to create their own interactive online games. Bring it on! Please post links to what you make in the comments! Proloquo2Go gloves? Because you still have to communicate in the cold. Etre Touchy. The things we say, especially those catch phrases we find ourselves saying again and again can be good indicators of the kind of classrooms we run. Are they positive places? Are they encouraging and rewarding? Do we take our students feelings seriously? "I don't want to loose my clips!" This comment is a humorous remark that means, "I need to use the ladies' room!" It is a reference to one student's reward program that allows her to wear pretty hair clips for asking for and using the restroom as needed. I think this remark reflects our attitude towards independence and personal responsibility, positive reinforcement and having a sense of humor. "I feel like you're not listening to me!" This is a remark a student has on his communication device as part of his upset/because/you can help me by board sets. He says it periodically - and so do the rest of us - but only when we are not feeling heard. We don't say this one in jest, only we are mean it. This reflects our seriousness about making sure everyone feels heard and role models how to handle feeling angry and ignored. "I'll give the berift of the doubter" This is a joking paraphrase of something a young relative of a staff member said when trying to say, "I'll give the benefit of the doubt". We often remind each other to extend the "Berift of the doubter". This shows our flexibility, acceptance of others and good humor. What are some of the things you say in your room? P.S. I love it when years later classroom catch phrase stick with me. I still can't heard a certain brand of timer beep without wanting to offer a former student, from many years ago his, "minutes" of earned free time for being safe and engaged . The word "sight" will always make me chuckle because of a young lady who thought it started with "sh" and ended with "it" no matter how many times it was on her spelling list. "Oh sight! ", was what everyone in the classroom said that year when something went wrong. Before I was a teacher I spent some time as a 1:1 teacher aide and my student and I would sing "Up Up and Away On my Beautiful Balloon" when I turned the handle on the Hoyer Lift. Guess what song I still sing to this day? 1. We gather around a large group table and discuss the recipe of the week and how it ties into the theme. This works on recall of past events. 2. Students are asked what we need to do before we cook and then we all wash our hands. This reviews basic hygiene and following a sequence. 3. Students volunteer to gather materials for the recipe. 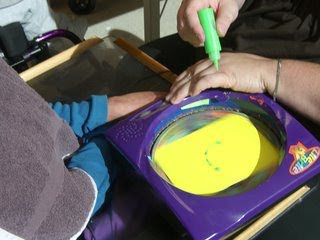 They volunteer by using their voice, voice out put switch, AAC device or raising their hand. This allows students to work on calling for attention and using a communication switch or device. 4. Each student is given a card (see photo of cards above) for an ingredient or other item we need for the recipe. (Staff know that the half closest to the ingredient table are to stay on the far side of the room after gathering their item until the other half of the table is finished to prevent a traffic jam.) Gathering items allows for meeting goals like ambulation/self-propulsion, matching a picture to an object, reach and grasp, exploring a new object placed on the wheelchair tray or decreasing tactile defensiveness. 5. Once back at the table we follow the recipe. There are two things we always try to include: some kind of switch activated appliance and something we can count like stirring or spreading. we use switches for the blender, food processor, grinder, mixer or battery operated flour sifter. Once we get one we will use them for our new pouring cup. Through the activity students use AAC to volunteer for turns and to comment and ask questions (well sometime, we are working on asking questions). 6. Finally we either wait for our recipe to cook and clean up OR we dig in! By the way, thanks to my former student teacher SU for the "shopping for ingredients" idea! Don't forget that cutting out ingredient cards, laminating and cutting out again and hole punching as well as attaching to the split ring for storage (if you decide to store them that way) can all be vocational skills! Flashback Fridays is a new feature that will bring back blog entries that readers found useful, inspiring or that provoked conversation in years past. This is a re-post from September 2008 by guest blogger Rose Marie. Since this entry was first posted I have had two students who are very good eye gaze communicators and have really learned how to become a better communication partner for them. One of my favorite tips is to use photo mats to make eye gaze boards, I like to make them and laminate them so the symbols are always in the same place and motor automaticity is built. My current student who is an eye gaze communicator can eye gaze to the correct corner of one of the laminated boards in less than a second because the icons on the board and their locations have been memorized. Another tip for students who may hyperfocus on your face instead of the icons or the board is to hold the board in front of the student in then bring your face into the center of the board slowly (it helps to be seated on a rolling stool). Enjoy Rose Marie's re-post! 1) Just because the concept of eye gaze is simple, reading eye gaze is not necessarily easy. We need practice and experience to become competent partners. Not all kids use the same techniques, in part because the end goal for each child may not look the same (see #2). 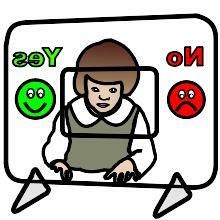 2) Eye gaze response procedures should keep in mind technologies to be used in the child's future. 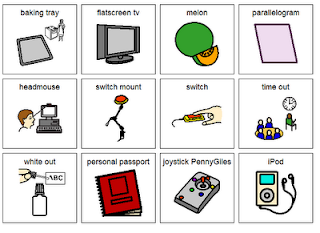 If a child will be using a dwell-click with head mouse or eye gaze software, for example, then it is important that they learn to hold their gaze to a choice for a specific length of time. Children who will not be advancing to a head mouse or eye gaze may find it beneficial to confirm their choices with eye contact to the communication partner, especially if they are socially motivated. 3) Similarly, if head mouse use is in the child's future, helping them learn to turn their head along with their eyes will support that technology. This can roughly be considered "nose pointing," although the child is merely directing the nose toward the choice, rather than touching it with the nose. If head mousing is not in the child's future or if you plan to go with eye gaze not head mouse, it's fine to hold the head still and cast long sideways glances with the eyes. 4) Motor ability must be considered. The length of dwell to a choice should be reasonable...five seconds (a standard dwell time expectation in too many IEP goals, sad to say) is WAY (WAY!!!) too long for most children, both in terms of head stability and attention span. Try it...five seconds is an ETERNITY and it slows conversation down to a pathetic pace. At our house, .90 seconds is a good dwell time and doesn't interfere with the flow of communication. 5) Positioning yourself as a receiver is very important. You must be able to see the child's eyes clearly. However, some children fixate on the face of the reader, so you need to be flexible. 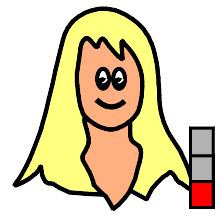 Head-on (180*) will work for students who do not fixate on faces, but for children who are hyper-fixated on faces, an angle just over 90* may be more appropriate. You learn from the child what they need as far as positioning in relation to the partner. 6) Children with hyper-fixation to faces may benefit from loose symbols held side-by-side in front of the reader's face, then slowly moved apart. The child's eyes will (hopefully!) follow the intended choice as they move. 7) Boards intended for finger-pointing tend to have symbols spaced too closely for all but the most skillful eye gaze readers (and users). Loose symbols allow you to distance the choices at optimal points from the user. These can be held in the hands or affixed to velcro-sensitive boards (I personally like 3"-wide strips of indoor/outdoor carpet mounted to mat board, 15-18" long. Post-It makes poster board that can be cut into strips that holds symbols temporarily as well). 8) Not all days are necessarily the same. Some "off" days may require few choices spaced at farther distances, while other "on" days may allow a child to handle many choices placed closer together. 9) Along these lines of "off" and "on" days, if the child suffers neurological swings, it is imperative to tailor our expectations to the child's ability at the time. This may sound basic, but it is a point often overlooked in our hurry to take data. 11) The goal of eye gaze communication is COMMUNICATION! It is NOT testing! Kids pick up on the fact that they are being heard or being tested, so make sure you honor what they tell you!!! This is probably the single most important point in all the discussion of eye gaze. For some reason, we tend to doubt eye gaze responses. This is because of our OWN insecurity in reading the answer correctly. If we honor a child's response, they learn to trust us as communication partners. If they indicated what they intended, we validate their answer. If they answered in error, we STILL validate their answer and demonstrate that we honor what they say. The children learn they must change their strategy to communicate the accurate answer and that they must find ways to negotiate to get what they had meant to tell us. 12) When you are unclear of a child's answer, DON'T repeat the same question. Ask it a different way. Try asking it in a way that would require they show a different answer ("Do you need more time?" becomes "Are you all done then?"). Show respect by letting the child know that you are the one having difficulty understanding; it is not the child's fault. 13) Try to keep the same placement of symbols offered for choices. This allows the child to develop motor automaticity. You may start to see eyes heading to a location before a symbol is even offered; this definitely suggests the child has achieved motor automaticity. 14) Not all children need to demonstrate "scanning of all the options" before making a selection. Motor automaticity may come to play, as well as peripheral vision skills. This does not mean kids aren't expected to know what all the choices are, but it does mean that "scanning" them may not look quite like we expect. An example is this: A teacher offered my child yes/something different/no in the same order each time (hurray! Way to build motor automaticity!) but would not accept the answer until she had gazed at each choice first. This is both unnecessary, slows communication, and discounts motor automaticity). 15) As soon as possible, eye gazers need to have introduced an option to indicate that what they want to say is not among the choices. This can be most anything ("something else," "not here," "different idea," whatever works for you and the child), but it is not fair to force a child into choosing only between choices they don't really want. Otherwise, the only option we give them is to NOT choose...and then we've set them up to be labeled as "non-communicative." I hope this helps. Again, it's just what I've learned from walking in the trenches. Our speech therapist runs a fun group every Thursday and this week we played, "Where is it?" She had small containers filled with fun size candy bars. Students volunteered to hide a container while the other student hid their eyes. (All with assistance as needed, of course.) Then the other students asked the "hider" yes/no questions starting with "Is it..." using position words (under, next to, on top of) and items in the room (desk, shelves, refrigerator, stander). The "hider" then answered the questions until someone guessed the location. In the end everyone got to eat or at least "taste" some candy. Five out of six of my students where in school today and below you will see images of how each of those five students participated. From left to right: A Mercury communication device by ATI with a keyguard using direct selection, a Go Talk 20+ from Attainment, four picture custom made low tech eye gaze boards, a TechTalk by AMDi and textured Yes/No board and a Yellow Big Red switch by Ablenet attached to a Step by Step Sequential Switch (not pictured). Head Tracking and Eye Gaze Tracking are two very different things. 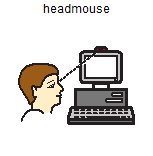 Head tracking uses a camera to translate a body part movement, typically the head, into mouse movement. 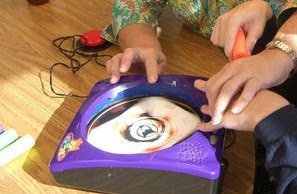 Eye Gaze Tracking is more complicated, using one or more cameras to translate slight movements of the eye into mouse movements. Please do not use the terms interchangeably. Use a switch set to "mouse click" or "enter"
Ten days until Halloween! 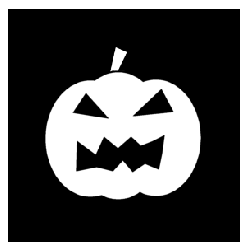 Over at Teachers Love SMART Boards there is a fantastic list of interactive Halloween resources. Most work with a touchscreen, mouse or mouse emulator if you do not have a SMART Board. Many of the Flash files also work with two switches set to tab and enter. News-2-You Joey's Weather reviews the day, month, date, weather condition, temperature (hot, cold, cool, warm) and dressing for the weather - we enjoy pretending to be shocked that Joey the kangaroo has arrived to school sans clothing! The newest AAC (and other device) wheelchair mount in the field now has its own website. The site features product information, videos, user stories, pricing information, comparison charts, and more. Hopefully Move'n Mounter is going to add some information on funding their mount via health insurance or medicaid. Click-N-Type, the fantastic, free, configurable on-screen keyboard with word prediction now has a portable version which can be run completely from a flash drive! How cool is that? Don't forget you can use Package Factory to convert many program (like Classroom Suite Player) to run from a U3 SanCruz thumb drive. Here are my instructions on how to do that. 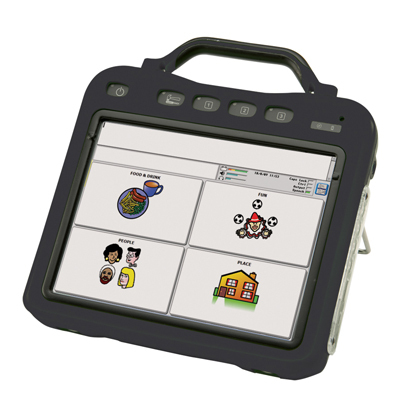 If you support a learner who uses a Prentch-Romich communication device or if you and your team are considering a PRC device for a student there are two new sites you should know about AAC Language Lab and The Center for AAC and Autism. AAC Language Lab offers information on language stages, PRC AAC Devices and the Unity Language System and teaching resources. The Center for AAC and Autism focuses on Language Acquisition through Motor Planning or LAMP. Offering resources for using this technique for teachers, SLPs and parents. They continue to have their funding assistance, offer their PRC Symbol Set for free download, activities on the Intellitools Exchange and Podcasts. In other news PRC will soon begin offering the Clarity Symbol Set, formerly called LibSyms in the US (currently already offered in the UK and Australia). Here is my review of the Clarity Symbol set when it was called LibSyms, obviously the pricing and upgrade info no longer apply. 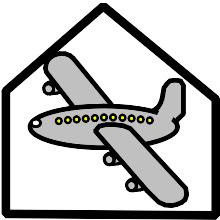 Here are the Clarity Symbols for Airport, Be, Blond and Awful. Today is Global Hand Washing Day! Ablenet has announced the new Powerlink 4 enviromental control device at Closing the Gap. No longer the teal box we are used to the new Powerlink 4 is upgraded for today. The new Powerlink is compatiable with the wireless Jelly Beamers and Big Beamers. The Powerlink 4 will cost $230.00 and will begin shipping in early 2010. A Powerlink 4 and two wireless Jelly Beamers can be ordered for at a discounted rate until the end of the year (12/31/09). MailMyWeb may be an option for those of us whom face issues with websites being blocked (for example a few weeks ago HelpKidzLearn was blocked at my school because it is listed as "games", luckily this was resolved easily with an e-mail to IT, but in other school I have worked in once a site was blocked there was no way to get IT to unblock it). Essentially MailMyWeb allows you to surf the web in your e-mail client. What could be cooler? Registration is required. MailMyWeb is currently in public beta. 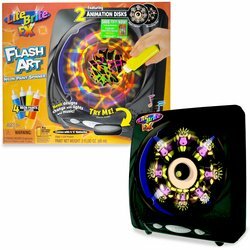 The cool thing about the Lite Bright FX Flash Art Machine is that it is just like a regular home spin art machine only it also has black lights and music. (We won't be using the lights in out class, spinning lights cause some problems for some of my students.) We will be using a battery interrupter to make the Lite Brite FX Flash Art Machine Switch Accessible and using Boardmaker to make choice boards for the students to pick colors and how much paint to put on their art. A Sliding Puzzle for Helen is a free, one switch activated slider puzzle that comes out of the A Game for Helen contest. The only other special needs slider puzzle I know of is Flip It Slider by MKP and it only works with touch screen or mouse. I have a sore arm, not from softball or even typing IEPs but from my seasonal flu shot. 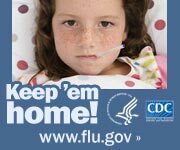 My sore arm has caused me to start thinking about the flu, in particular the H1N1 Flu that so many people are talking about right now. 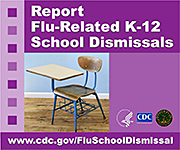 What this means is that our students with severe and multiple disabilities are at very high risk should they become infected with the H1N1 flu, or really any influenza infection. 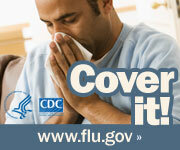 Already some strains of the virus are resistant to anti-viral medication, so prevention is our number on weapon. 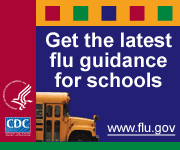 We as teachers, working with our supervisors and program or classroom nurses are at the forefront of ensuring that our students do not become infected with any strain of flu virus, including H1N1 at school. 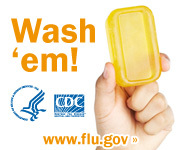 Basically - wash your hands, wash the kids hands, stay home if you are sick and send the kids home if they are sick and require they stay there! Over six months ago I wrote a Donors Choose grant application for an iPod Touch for my classroom and about a month ago it was fulfilled. A few weeks ago it arrived. A week after that I purchased an iMainGo speaker case (which I will need to replace as we seem to have gotten a dud - I have had many iMainGos and it is an awesome solution, but this one has been terrible). One of the things our classroom staff marveled at was how quickly some of our students mastered turning up the volume while music was playing! Every morning I play a song of the day/music video of the day in my class. The idea is that my special needs students be exposed to as many songs that "everybody should know" as possible for the purpose of cultural currency, broadening exposure and pure enjoyment. What songs should I have on our list? o Sometimes independence is more important than ease or speed. o How would you like it if someone hung on you? o Not to the person with him or her. o You may want to sit or kneel. o But never a pat on the head. o Not “confined to a wheelchair” or a “victim of a wheelchair”. o Whether or not he or she is in it. o Some users can walk with aid and use wheelchairs to save energy and move quickly. o The wheelchair user probably uses the same words. o Much more okay than staring. o It is not, in and of it self, sad or a tragedy. We have all adapted cooking lessons by putting recipes or other related messages on a sequential voice output switch, using a power adapter (PowerLink) and switch to control a blender, mixer or food processor and many of us have also tried out an adaptive pouring cup. In the past few weeks we have been trying out another fabulous cooking adaption. A $14.00 battery operated flour sifter adapted with an off the shelf battery adapter and a switch we already had. The result, lots of flour sifting fun! Classroom staff are already planning to use it to make powered sugar designs on cakes and things in the future and it may fit in well to make it "snow" in our "tundra" dioramas for this month's Unique Learning System unit. When I first started teaching I used a commercial planbook, but it never really met my needs as a self-contained classroom teacher. In more recent years I have created a template in Microsoft Word or Open Office, printed it out weekly and penciled in my lessons, enclosing the pages in a three ring binder, which I use as a plan book. This week I will be trialing Planbook Edu, a free, online planbook. The free Planbook Edu includes the ability to plan for one class (which is all most of us severe special needs teachers have), access from any internet connected computer, nothing to install, and WYSIWYG editing. It is the "premium" features that I really like and I have a feeling that after the seven day free trial of using the "premium" Planbook Edu I will pay the $20.00 to upgrade. These features include printing from your browser, attaching up to a 2MB file to each block of the plan book, sharing your plans, exporting to MS Word or PDF and built in spell check. The 2MB file attachment isn't big enough for most Unique Learning or News-2-You files, but is just fine for craft instructions and recipes. I am already finding it helpful to download these types of things on my laptop at home and attach to the Planbook Edu so I can print on my work computer. I was forwarded these questions by a reader. So I thought I would answer (most of) them. The phone rings. Who will it to be? My phone doesn't ring much, but that txt is probably my dad. Sometimes. I probably should shoot for always. If I don't know anyone I am quiet, but if I know people I am quite verbose. Not always. Ok, fine, not usually. Nope. It involves numbers, linear thinking and problem solving. Someone hand me my colored pencils. If abandoned alone in the wilderness, would you survive? For maybe a day or two. Oh, yeah. Girl scout camp, basketball camp, tennis camp, student leadership camp, community service camp, swim camp, theater camp and probably some others. My parents worked, I had to go somewhere. I wasn't much of a game player, I was more likely to read, draw, do crafts or in the summer time swim. Do any songs make you cry? At some point I would like to pursue my doctorate, but I find the idea of leaving the classroom unbearable. No, and that is one constitutional right I intend to never use. Yes, usually during Community Based Instruction with students! I am never NOT in the middle of a book. Probably a pretty equal division. As a little girl I loved Cloudy with a Chance of Meatballs! The illustrations fascinated me. As a 'tween I loved The Girl with the Silver Eyes, I really wanted to be able to move things by thinking about it. If your house was on fire, what would be the first thing you grabbed? As long as all the people and my beloved cat are safe I don't need anything material. When was the last time you were at Olive Garden? I've only been once when I was out of state to go to a wake. It was maybe 2 and a half years ago. I went south to Methuen, Mass (maybe 10 miles) to go to the bank and then North to Plaistow, NH (about 5 miles) to buy some laminating pouches, but they didn't have the ones I like. Does that have to be a choice? Can I do both? I mean not at once. My sister. We are both a nice blend of both sides of the family. 3 minutes. I don't like to get up early enough for anything longer! Whip It. I love Drew Barrymore. We have the same birthday. Do you think The Grudge was scary? No idea what The Grudge is. Do you own a camera phone? My Blackberry takes pictures, but not very good ones. What’s the last letter of your middle name? I aim for 8. I get 6-7. Do you like Care Bears? Not really, but I was a little girl in the 80's so it was basically required. What do you buy at the movies? No, don't like playing cards, I like to knit and watch others play. Anything big ever happen in your hometown? Original home invented Chelmsford Ginger Ale. Current Home Town was the birthplace of John Greenleaf Whitter (the writer) and had the first Macy's. Once upon a time it was. Actually twice upon a time. But not anymore. Do you always read MySpace bulletins? Do you like funny or serious people better? Both, I have room in my life for all sorts of people. Never, not even a lay over. Did you eat a cookie today? Yup, chocolate chip. It was so-so. Do you use cuss words in other languages? Yes. In ASL, Spanish and Arabic. Though I am fluent in none of those languages. Do you steal or pay for your music downloads? I pay. Mostly because I am lazy, it is more work to find them for free and deal with protecting from viruses and malware. What? Hate chocolate? Who on earth would ask such a think? What do you and your parents fight about the most? I don't really fight with my dad. On occassion we annoy each other and then we say, "I am finding ____ annoying perhaps you could ____ instead." I realize we are terribly boring. We can't help it. Do you need a boyfriend/girlfriend to be happy? If you could have any job (assuming you have the skills) what would it be? Likely the one I have, but with a shorter commute. Isn't this question better asked to people who know me? About 8:30 AM on weekdays, when we are done with morning positioning and the posibilities of another great school day are in front of me. MyCalculator is nice because there is nothing else on the page to distract our learners, however it is a little small on the page - works with mouse or mouse emulator, tab/enter switches. 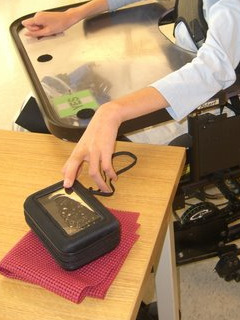 touch screen or interactive whiteboard, MetaCalc also has nothing else on the page to act as a distraction, has the same accessibility, but is larger. Tone Matrix is designed as a tool to write/create music. For our learners it can be a fantastic tools to use light and musical tones to encourage cause and effect using a touch screen, interactive white board or even a head or eye tracker. Imagine one of your learners swiping his hand across the SMART Board to to make a glowing song and then clicking a switch (set to "space bar") to clear that song and make another! If you are lucky enough to have an iPod touch or iPhone for your classroom you can do pretty much the same thing wigh the app Melodica or in color with the app Tripper. Another cool app that doesn't look like these (it is prettier), but meets the same purpose is Bloom (and I think it sounds beautiful). Thanks to NCS Tech for the Tone Matrix tip. 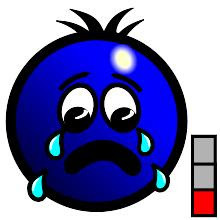 Actually today was not one of those days, however we (the para-professionals and I) had a number mini-incidents which we responded to with good humor. The day ended with trying to break into my car because... well, obviously, I locked myself out. We did figure out (by watching the AAA man) that next time we can likely break into the car using the following items from the classroom: a foot wedge from a Rifton stander, a long strip of laminated paper and some sand paper. If that included some Velcro it would be the ultimate special needs solution! By the way wasn't it sooooooo nice of one of the paraprofessionals to take this super flattering shot of me breaking into my car. Too bad I have no shame! The Mulberry Symbol Set is a free collection of picture symbols available from Straight Street. After registering and logging in for free you can search for single symbols or you can download the entire set. There are currently about 800 Mulberry Symbols and there should be 3000 by this time next year. The Mulberry Symbol set is included in the new Pogo Board program and also is perfect for importing into Boardmaker or the free PhotoSyms program. In fact between Mulberry Symbols, Sclera Symbols and PhotoSyms people can have everything they need to make printed boards for free. 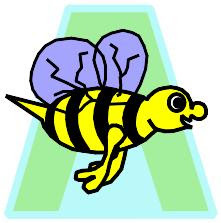 Another free set of software that would be perfect for using Mulberry Symbols is the EdWord and EdWeb programs from Sense. Judy Phelps, an itinerant Occupational Therapist in Michigan, has put together a website that highlights assistive technology resources. She has also posted directions on making iTunes more accessible to switch users.